This morning, the last leader of the Soviet Union spoke in uncertain terms, as Mikhail Gorbachev castigated Donald Trump’s plan to tear down the Intermediate-Range Nuclear Forces (INF) deal that he and Ronald Reagan signed back in 1987. The move stems from National Security Advisor John Bolton, who has been pressuring the US to withdraw due to Russia’s ongoing development of cruise missiles. Donald, in his inexorable way, believes that the US would not let Russia “go out and do weapons we’re not allowed to”. This, however, is fairly interesting foreground, but in telling this story, invariably you should tell another, as the loudest critic of today’s move was painfully close to removing the issue of nuclear weapons entirely. Back in 1986, Gorbachev met Reagan in the sleepy middle ground of Reykjavík to discuss the arms race, but ostensibly to continue his plan to reform the Soviet Union, kickstart his labouring economy by cutting costs. 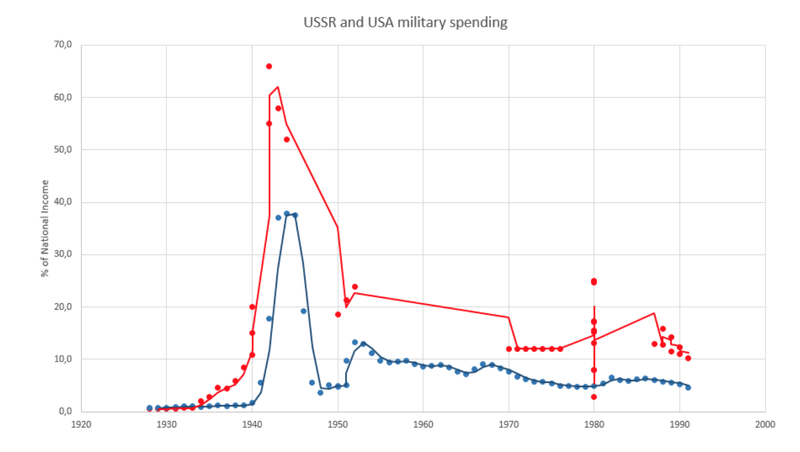 The Soviet’s military spending presented a rather large problem, as keeping up with atomic Joneses crippled the economy (and painted their thinking) since the commencement of the Cold War. So, as both parties trudged to meet through Icelandic sleet, we too arrive at a pivotal point in our history. 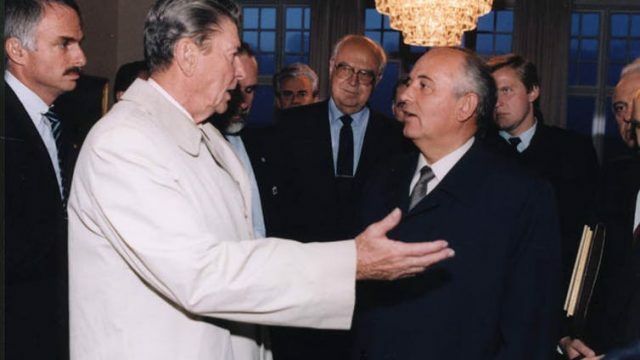 Prior to the meeting, Mikhail Gorbachev promised “friendship and peaceful competition” between the two nations, and had long pushed for a total disarmament of nuclear weapons, suggesting thus in a series of letters to Reagan. Reagan was open to discussion, famously meeting Gorbachev in Geneva the year before. And so, we find ourselves in Reykjavík, and ultimately, a few words short. The sticking point between the two was Reagan’s SDI plan. Nicknamed “Star Wars”, Reagan envisioned it to be an interwoven series of armed satellites that would shoot down inbound nuclear missiles. In essence, it was a greater insurance policy, a move away from the Cold War ethos of MAD (Mutually Assured Destruction), a theory based on trust, knowing that one party wouldn’t fire, because they feared what damage would be reaped in return. Despite the scientific community castigating Reagan for wanting to militarising space, Reagan continued to believe, famously trumpeting that the force was with him. Foresight is 20-20, of course, but the fear was palpable, and it was this very human fear that saw the moment slip. As both parties feared the same thing, therefore, they could not agree. Reagan resisted Gorbachev’s suggestion. The thing to note is that at this stage, SDI was still only a theory. It hadn’t yet reached the lab. No prototype, no plan, no end date. It was his romantic possibility against the presented reality. Negotiations stalled. Reagan was unwilling to restrict the progress of his pet projects, on the basis that it would damage him politically. It wouldn’t be remiss to suggest that personal hubris (on both sides) spoke glibly for the species. A few words away from a vastly different future, away from the mistakes of the past. But here we are, and here we remain. Today, more and more, defence planning looks like preparation for real war amid continued militarisation of politics, thinking and rhetoric.